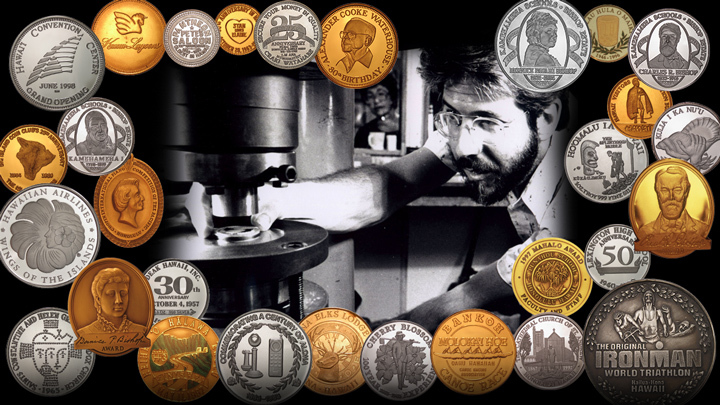 Custom coins have a long numismatic history of commemorating important events by nations, businesses, couples’ anniversary or an individual’s success. Every conceivable event has been commemorated. Private Issues have a special place due to their personal nature and often because of the value of their gold and silver content. Some of the Mint’s most popular private issues include, Kamehameha Schools/Bishop Estate, Bishop Museum, Bank of Hawaii, Hawaiian Telephone, Hawaii Visitors Bureau, State of Hawaii, OHA and Pete’s Pantheon Saloon on Hotel Street in Honolulu and many others.